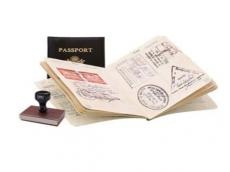 Citizens of 42 countries have submitted 3,217 applications to the system for processing and issuing electronic entry visas in Uzbekistan since its launch on July 15, Uzbek media reported. The largest number of applications came from citizens of China – 664, the USA – 415 and the United Kingdom – 376. The Government of Uzbekistan issued 2,836 visas, with 381 applications pending. The system can be used by citizens arriving in Uzbekistan for tourist purposes from countries for which a simplified procedure for issuing a visa is established. The deadline for consideration of the application is two working days. An electronic visa is issued for a single stay in the territory of Uzbekistan for a period of 30 days. It is valid for 90 days. An electronic visa is sent to an e-mail address, when crossing the border. For that, it is enough to submit a visa in paper or electronic form.